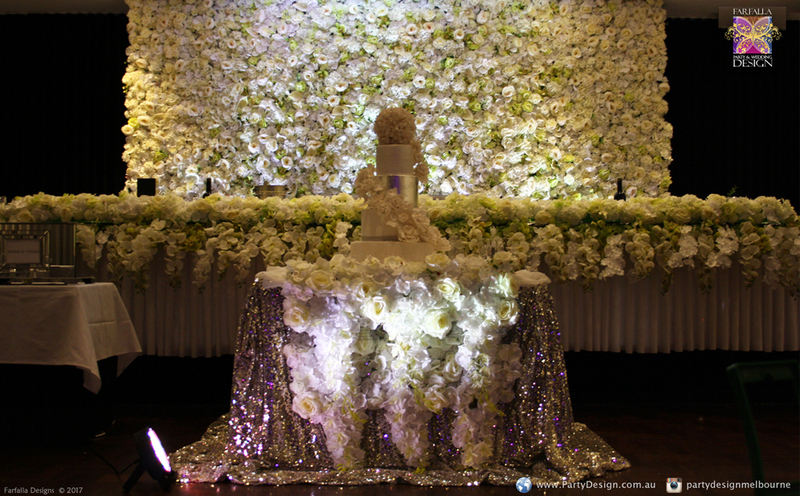 Bridal and Cake table decor plays a very important role in wedding decoration. 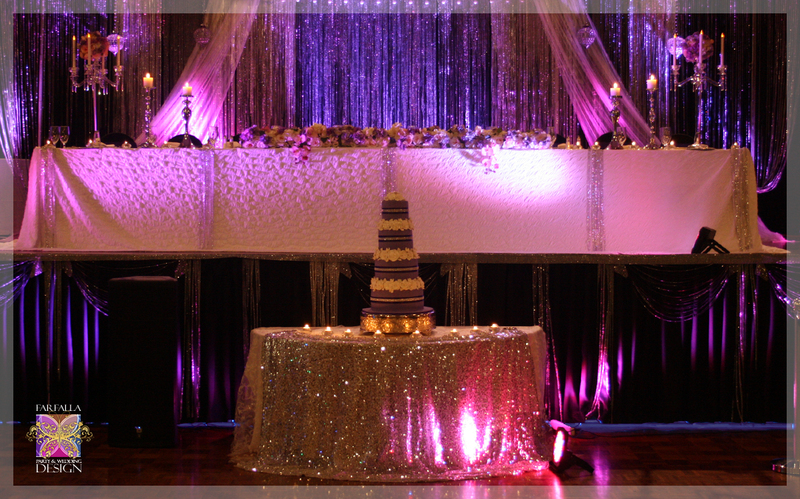 This is why here in Farfalla we pay a lot of attention to the way head and cake tables are set up. 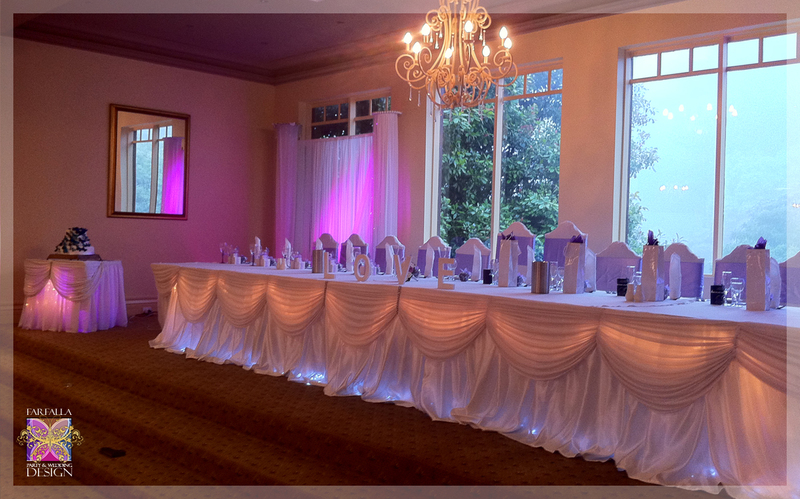 We have created many styles to match any theme and colours can be chosen according to your theme / colour scheme. 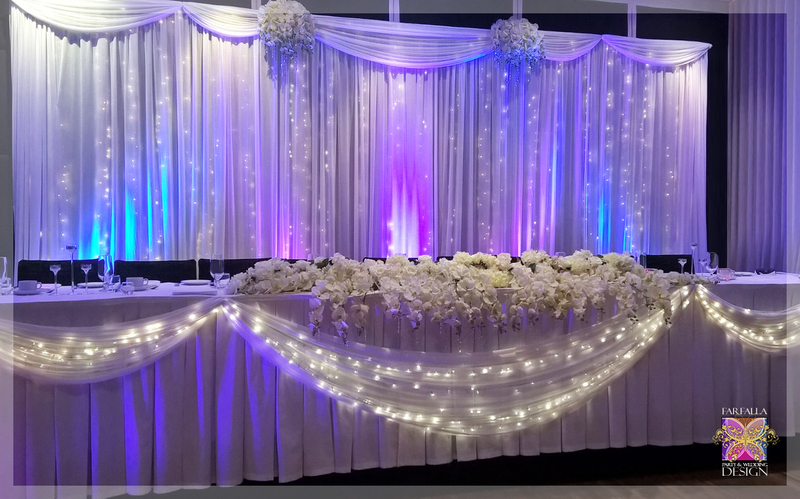 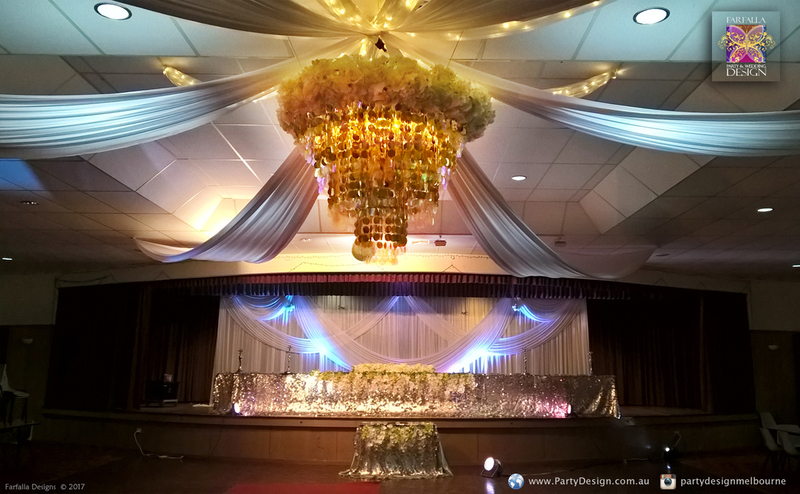 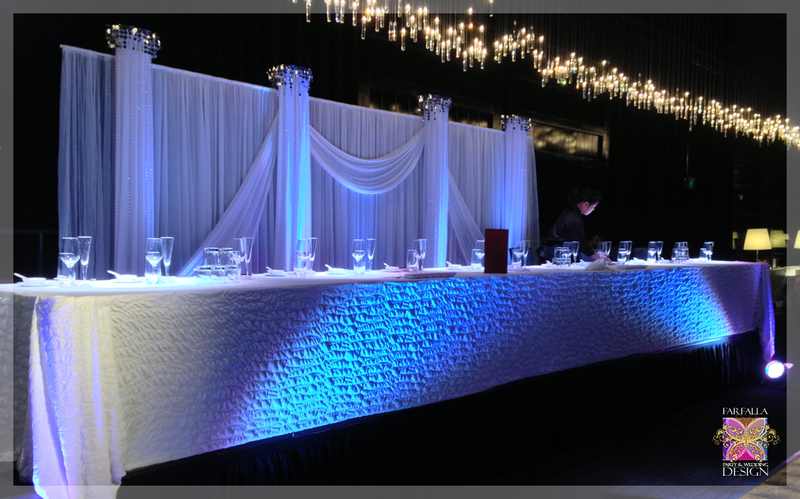 Below are some samples of table skirting, draping, lighting and floral decor. 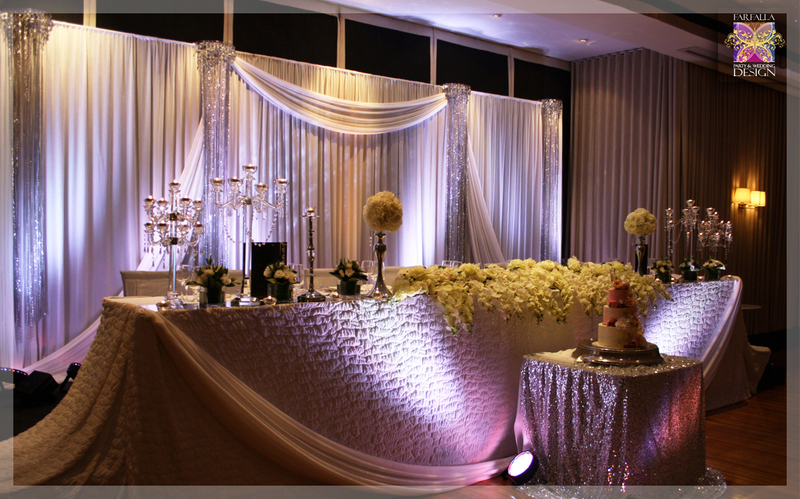 Please check our Packages Page as well. 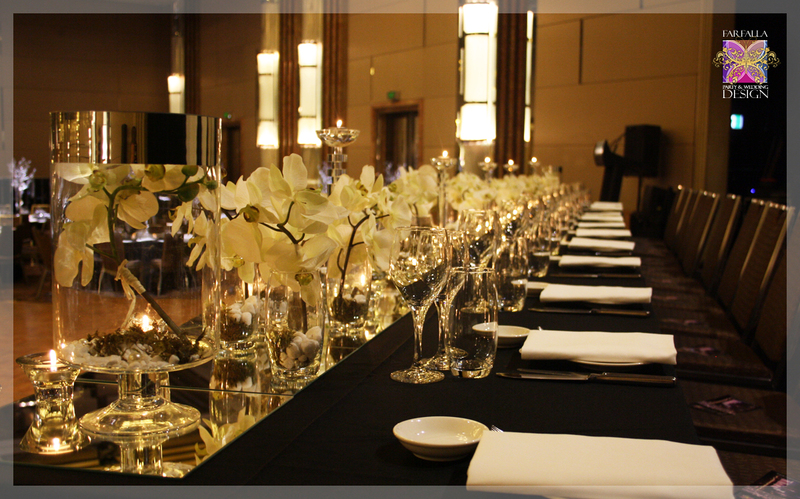 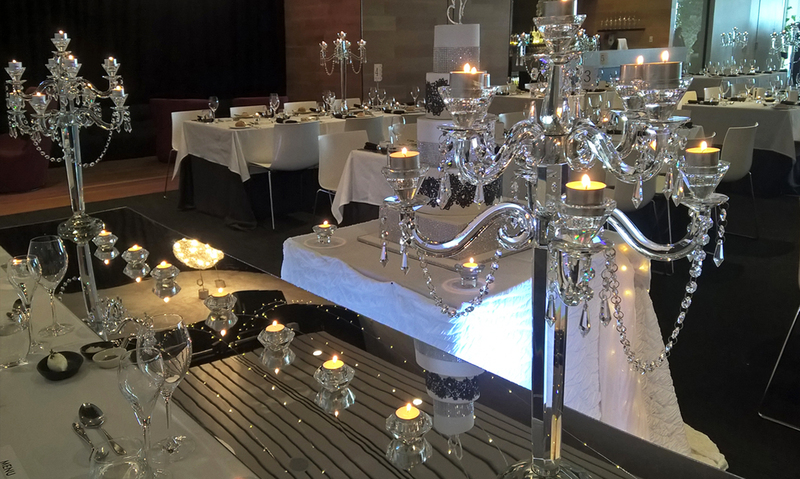 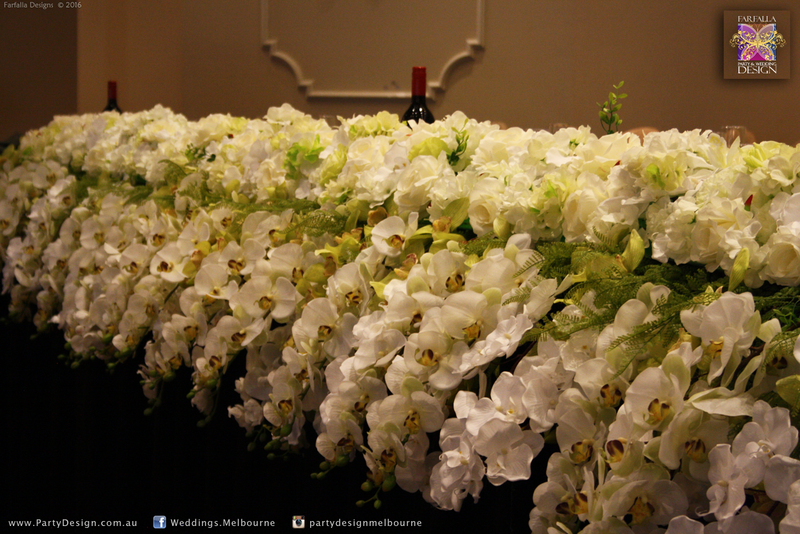 Table Top Decor Packages are available and can be customised according to your needs.